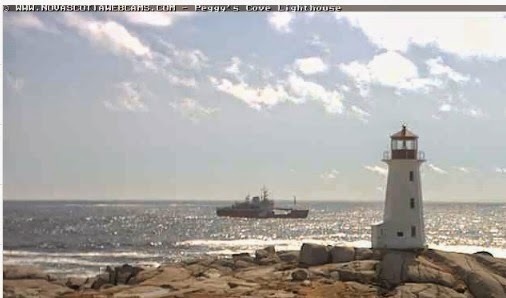 Reports are a 25year old male was swept off the rocks at Peggy’s Cove. Local Fisherman, Halifax Emergency Services are on Scene, as is a RCAF Cormorant Helicopeter, and CCGS Sambro. It appears that CCGS Sir William Alexander and CCGS Louis St Laurent are joining the search. UPDATE: Sir William Alexander is there, Louis St Laurent has gone elsewhere. This entry was posted in CCGS, oops on April 22, 2015 by Peter Ziobrowski.